All optometrists and retail dispensing teams are committed to providing Australians with the highest possible standard of service and expertise when it comes to eye health. Specsavers wants to help you find the perfect contact lenses, whether you use them regularly or casually. Browse the Specsavers range via the 'Shop Now' button to earn Cashback on all your contact lens purchases. Cashback is only eligible on contact lens purchases. 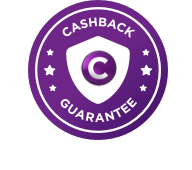 Use of any coupon not listed on Cashrewards may invalidate Cashback.